In Northeast Wisconsin, we have to deal with our fair share of natural disasters. While we might be off the hook when it comes to hurricanes and earthquakes, we DO have to contend with blizzards, tornadoes and wildfires. In April 2018, a major blizzard hit the Green Bay area. More than 30 inches of snow fell. In the days and weeks that followed, home and business owners alike were left struggling with the aftermath: roof collapses, flooded basements and more. The storm itself caused damage, but then so did the fast snow melt that happened afterward. So, our team worked around the clock for more than a month helping people restore their property. 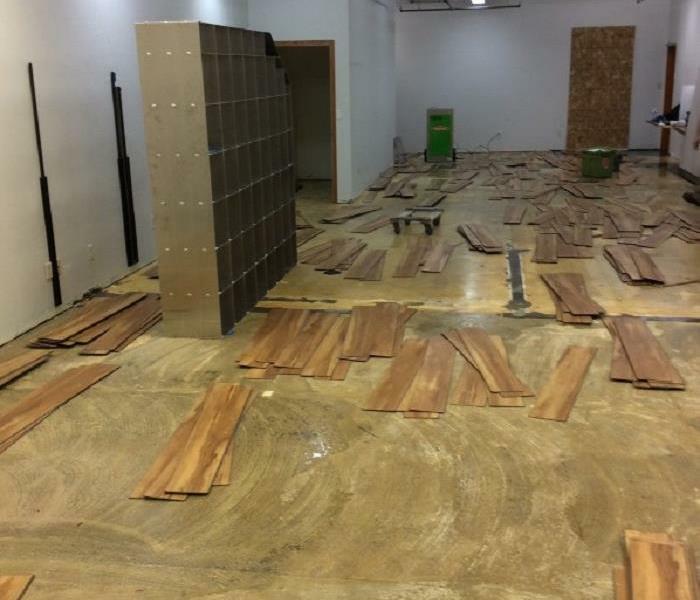 Restoration work following storms is a cornerstone of the SERVPRO business. At SERVPRO of East Brown County we make it OUR business to respond to storm damage immediately. If your property’s been hurt by a storm or natural disaster we will work quickly and efficiently to fix the problem and get your life back on track. As a leader in storm and water damage restoration, SERVPRO of East Brown County has the specialized training and expertise to restore your home back to its pre-storm condition. Our restoration process puts an emphasis on scientific drying techniques, progress monitoring and documentation. Major storms and flooding events can overwhelm many restoration companies. On the other hand, SERVPRO of East Brown County can access resources from 1,700 Franchises across the state and country and even utilize Disaster Recovery Teams for major storms and disasters. We live and work in this community too; we might even be neighbors. As a locally owned and operated business, SERVPRO of East Brown County is close by and ready to respond to storm and disaster events. We are proud to be an active member of the Green Bay community and want to do our part to make our community the best it can be. Mike Bogenschuetz discusses post blizzard snow melt.